1. 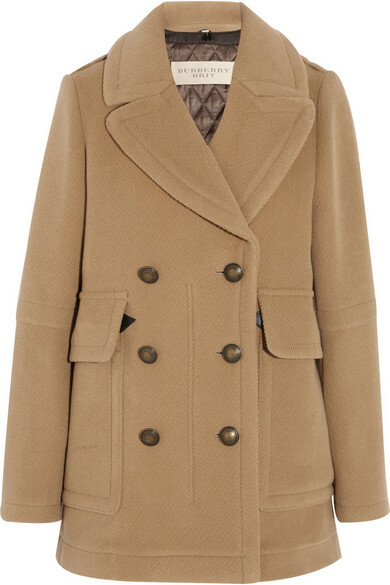 Burberry Brit Wool Peacoat: This classic tan coat will keep me warm this winter with its unique quilted lining, oversized collar and double-breasted front. It currently costs £795 and you can grab this at Net-a-Porter. 2. 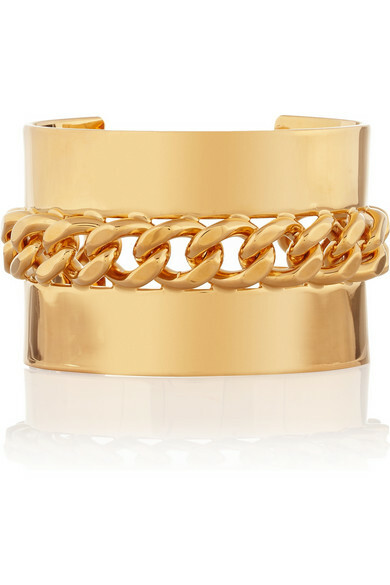 Gold-plated Chain-link Cuff by Stella McCartney: This beauty gold cuff will accessorize a daytime wear or a nighttime wear perfectly. It costs £460 at Net-a-Porter. 3. 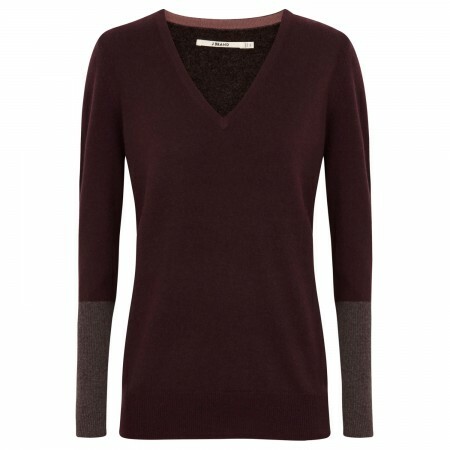 Two-tone Fine KnIt Cashmere Jumper by J Brand: This dark purple cashmere jumper will keep me warm and happy this winter. It will be quite easy to style as well with a pair of jeans. It costs £360 at Harvey Nichols. 4. 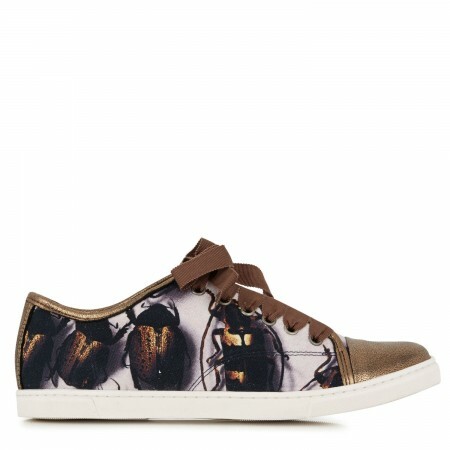 Metallic Beetle Print Trainers by Lanvin: This is definitely a cool item to have in my winter wardrobe. It is quite easy to style as it is multi-coloured and it will also keep me warm and chic this winter. It currently costs £375 at Harvey Nichols. 5. 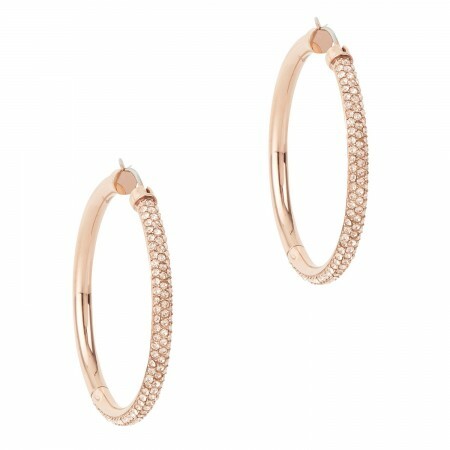 Giltz Embellished Hoop Earrings by DKNY: This is one item on my wish list I definitely see myself getting. This piece will wake up my winter wardrobe, it will dazzle any daytime or nighttime wear. It currently costs only £99 at Harvey Nichols. 6. 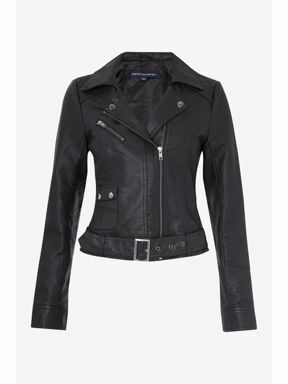 Athena long-sleeved Biker Jacket by French Connection: I lust after this French Connection biker jacket for £95. It will spice up my wardrobe and wake up my winter pieces. Grab it at House of Fraser. 7. 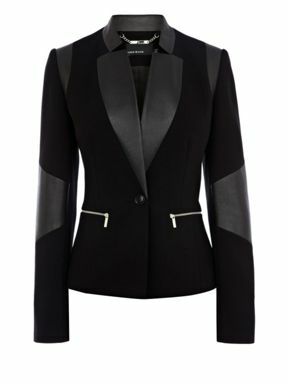 Faux Leather Jersey Blazer by Karen Millen: This soft tailored jersey blazer will be an addition to my office wear. It can also serve as an evening jacket when paired with a nice dress. It costs £190 at Karen Millen. 8. 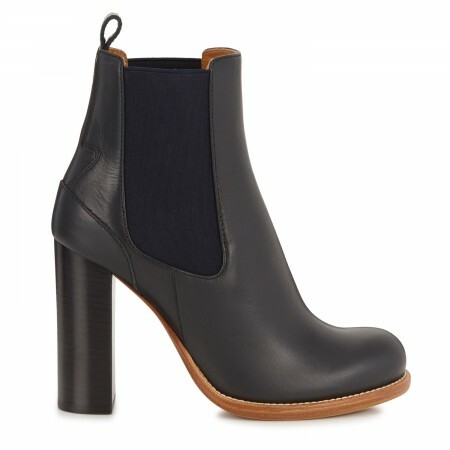 Black Leather Ankle Boots by Chloe: This luxury boots will be needed this winter to look chic and at the same time combat the very cold weather. It costs £610 at Harvey Nichols. 9. 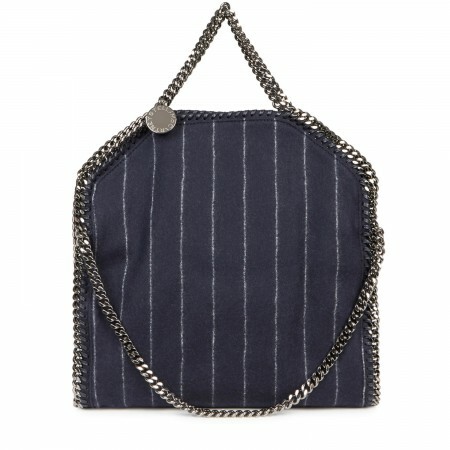 Falabella Pinstriped Felt Tote by Stella McCartney: This new navy tote bag by Stella McCartney will add glamour to my wardrobe this November. It currently goes for £785 (If only wishes were horses), grab it at Harvey Nichols. 10. 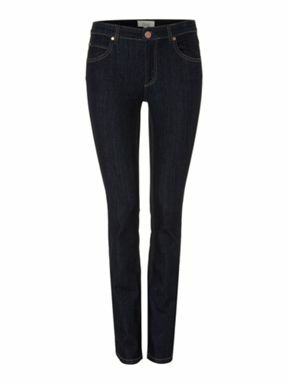 Linea Weekend Ladies Indigo Wash Jeans: This straight leg jeans by Linea is more of a necessity that a luxury. It is quite affordable at £55. They fit me perfectly (tried it out already) and I love the indigo wash colour. You can grab this here at House of Fraser.